We offer development services and consulting and we’re available for hire. 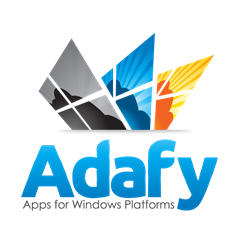 Our first Windows 8 app participated in and passed the Microsoft Quality Labs and it’s set to launch into Windows Marketplace in near future. We do internal Windows 8 app development and also offer Windows 8 development services and consulting. We have a popular portfolio of our own Windows Phone apps like IRC7, Ampparit.com Reader and SuomiFutis. We also offer Windows Phone application development services and consulting. We use Windows Azure platform to run our ASP.NET MVC and Node.js back-ends. We’re currently in the middle of building a Azure based cloud service for Windows application developers. If you’re thinking of moving your existing web app into the Azure or if you’re starting a green field Azure project, we can help you. Micro-isv founded by Mikael Koskinen. And like previously mentioned, we’re available for hire. It seems one of the Blogengine’s extensions caused some problems, preventing one from opening any of the blog posts from this site. Not sure what happened to cause this. Everything should be working now, though there seems to be some layout problems and ghostly “Submit to DotNetKicks” links. In case you’re using BlogEngine.net and start getting the “Root Element is Missing” error, try removing every file from the App_Datadatastoreextensions –folder. I today received my copy of Martin Fowler’s Domain-Specific Languages. Quick browsing seems to point out that this book was well worth the investment. 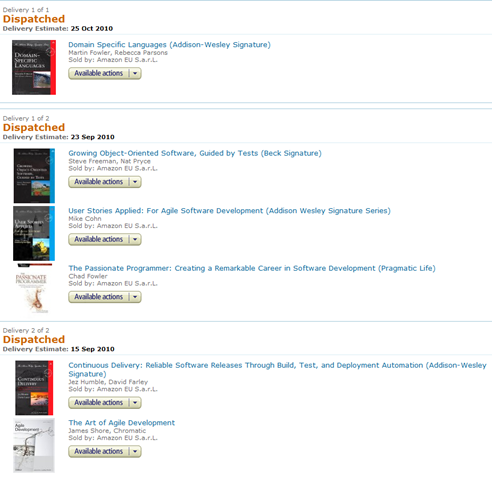 As a side note, Amazon.co.uk has quite a nice selection of programming books in discount. The discounts have made me little worried that I may have to buy a larger bookshelf in the near future. From now on, I’m going to upload all the source code from these blog posts into the GitHub. It’s much easier to work with GitHub than to zip and upload the examples. The .NET 4 NServiceBus sample application is not yet available from the repository, but I’ll try to move that too in the near future.